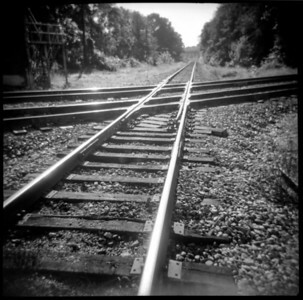 Railroad tracks depicted in black & white by a Holga camera. 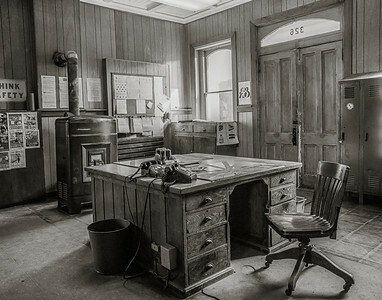 The office of the Seaboard Coast Line Railroad with its large old wooden oak desk is now a relic of the past. 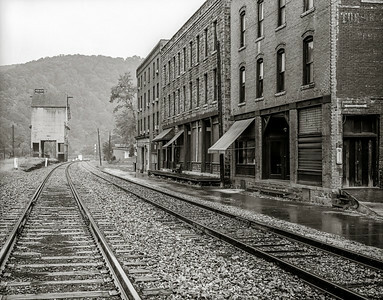 Old abandoned downtown Thurmond West Virginia is shown with the CSX railroad tracks and its old wooden sidewalk. 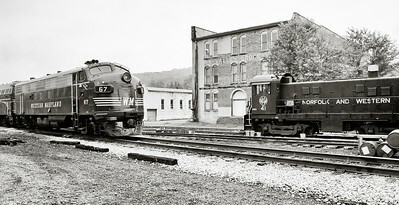 Two old diesel railroad engines sit in Elkins WV. 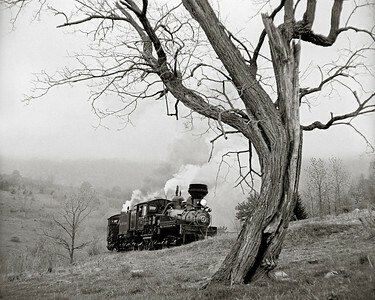 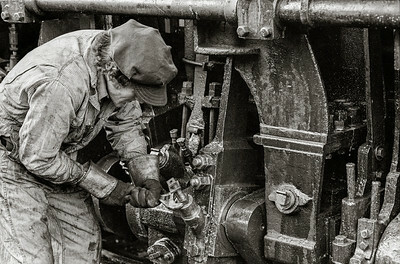 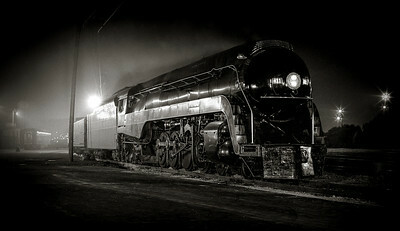 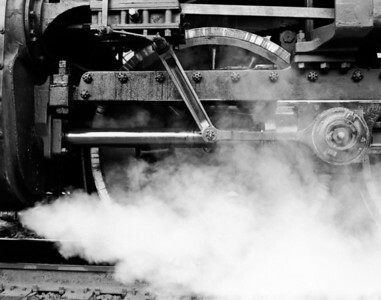 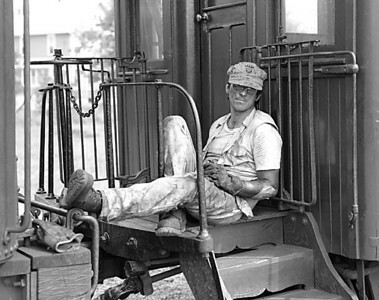 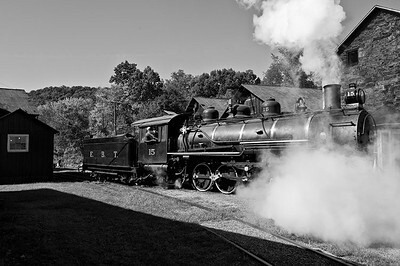 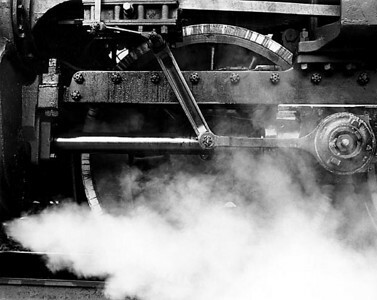 A railroad worker works on a Shay steam locomotive at West Virginia's Cass Scenic Railroad State Park. 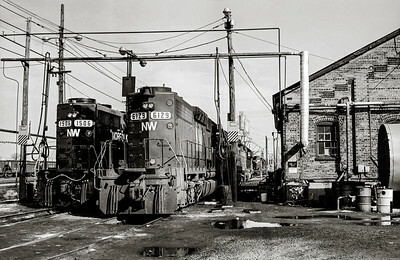 Two old Norfolk & Western diesel engines sit at the service facility at Lambert's Point Yard in Norfolk Virginia. 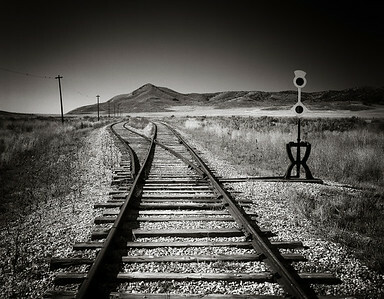 Looking west from the site of the driving of the golden spikes at Promontory Point in Utah. 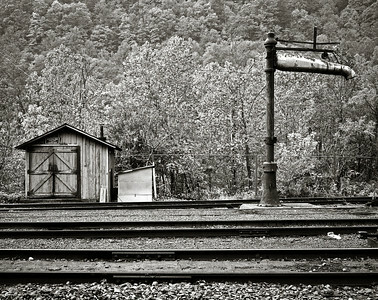 A water spout formerly used to water steam locomotives stands like a sentinel in Thurmond West Virginia along the CSX Railroad mainline. 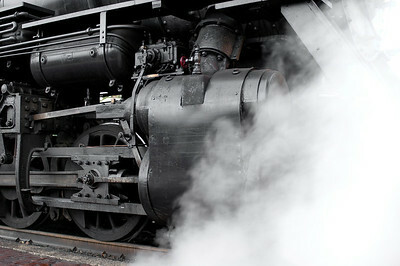 The water spout no longer exists today. 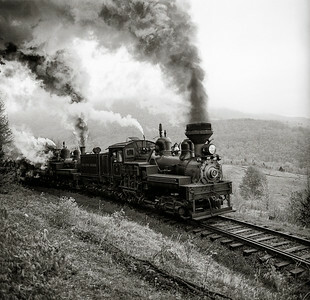 Shay Engine #4 double-heads a steam train excursion up to Bald Knob at West Virginia's Cass Scenic Railroad run by the State of WV. 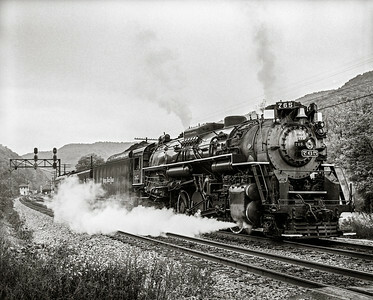 Nickel Plate #765 pulls a train near Meadow Creek West Virginia. 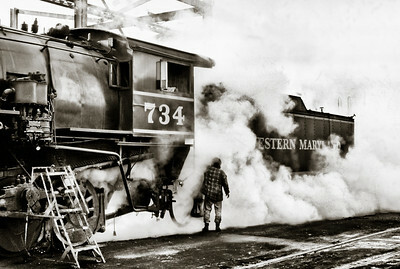 Western Maryland steam locomotive is being serviced in its yard in Cumberland Maryland with a lot of steam engulfing the engine.